We know that you are going to have some questions regarding the repair process. Ensuring that you have clarity and piece of mind is something we care deeply about. Below are a list of common questions that our customers have. If you have any additional questions or would like further explanation, please call any of our locations. Who makes the final, total payment for my repair, me or my Insurance Company? While we guide you every step of the way with your Insurance Company, we work for you. The total payment will be made by the vehicle owner when picked up and approved. That said, your Insurance Company will usually write the check(s) for your repair and then leave the payment with us which we then file in your folder until the vehicle is picked up and approved by you. We will keep you informed when the Insurance Company drops off any payments for your repair. Do I have to make multiple payments, such as a down payment, for my repair? No. You will not be asked to make any payments until your vehicle is 100% completed and approved by you. The Insurance Company may make multiple payments for your repair via supplemental checks. Per the answer above, any checks left by the Insurance Company for your repair will be left in your repair folder until you pick up your vehicle. Will my parts be ordered prior to my scheduled repair appointment? Any parts that are needed based on the initial inspection of damage will absolutely be ordered prior to your scheduled repair appointment. Should more parts be needed, your Insurance Company will come out to inspect any damage that was not visible during their initial estimate in order to approve and write any additional supplemental check(s). We order those new parts immediately. How long will it take for my car to be repaired? When this question is asked you have to understand that few repairs begin with a definitive end date. Being in business for over 35 years we have seen every type of repair that you can imagine. And while we know of the time frame that a repair should take, there are many factors in play during the repair process. We want you to have your car back as soon as you do. There is no reason or advantage for us to keep a vehicle longer than it has to. In fact, we actually LOSE money the longer we have your vehicle. Remember, we don’t deposit a dime of payment for your repair until your vehicle is completed and inspected by you before you drive off the lot. Initial Assessment vs. Actual Repair – When a vehicle comes in for repair, the initial repair parts are ordered. During disassembly, the majority of the time further damage is found to the inner workings of the vehicle. We document that damage, prepare our findings, and forward that information to you and your Insurance Company. The Insurance Company must then come to our facility to review our findings and then provide an additional supplemental check for the newly found damages. The vehicle owner must then approve the additional work on the vehicle. Availability of Parts – Whether you choose to use OEM or aftermarket parts, those parts must be sourced and ordered. Sometimes a part is out of stock or even back ordered. While we try and work around this by doing all repair work during the shipment delay, some parts are dependent upon each other thus forcing us to wait until the part arrives. Another factor to consider is that the newest models or body styles may not even have parts stocks ready to be shipped because they haven’t been made yet. Insurance Company Approval – Your Insurance Company must take a look at any additional damage that your vehicle may have incurred internally doing the repair process. Your Insurance Company must then come to reassess and write a supplemental review of the new damage. There are instances that we’ve had to call Insurance Company’s multiple times over the course of a week to get them to send out a claims representative. They know full well that this inconveniences the customer by postponing the repair process. Bad Fit – When using aftermarket parts as opposed to OEM parts to repair your vehicle, there is the potential threat of the part being incorrect relating to fit. If the fit is bad, or the part defective, a new part must be ordered. Wrong Part – Out of our control completely, regardless of your choice of OEM vs aftermarket replacement parts, sometimes the part(s) that we are shipped is incorrect. We certainly rectify the issues as soon as possible, but having to re-ship the correct part will obviously delay repair time. Trust us, we don’t want to get the wrong part, that affects our schedule too. Does Classic Coachwork offer a warranty on the work that is done? We absolutely guarantee the workmanship that is performed by our technicians and specialists. We take pride in our reputation and craftsmanship of our work. Does Classic Coachwork offer a warranty on parts used for my repair? Parts are warrantied through the manufacturer of the part, whether it be an OEM or aftermarket part.  While Classic Coachwork guarantees our work, we do not specifically warranty the part used. HOWEVER, should there be an issue with the part used, we will work with you, your insurance company, and wherever the part came from to ensure everything works out.